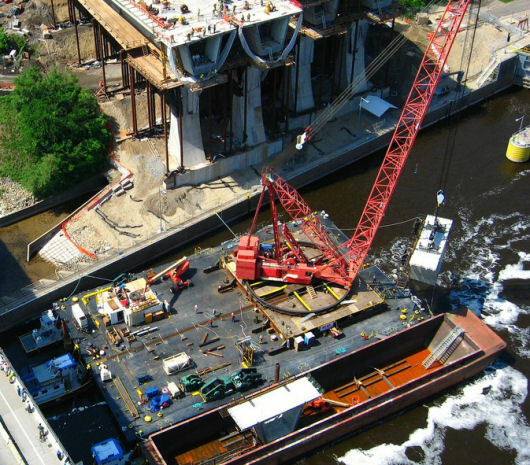 For the construction of the new I-35 W bridge in Minneapolis, MN, a temporary crane barge was constructed, using 2 flat deck cargo barges, a connecting steel grillage, and a 600 t Manitowoc 4600 S3 ringer crane. Argonautics Marine Engineering, Inc. became involved to verify the proposed concept of the catamaran crane barge and to perform peer review of the final design of the support grillage. 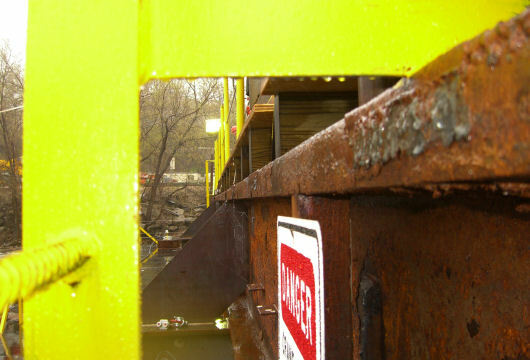 Once installed, the grillage structure was surveyed. A test procedure for the crane was designed and the test lifts were witnessed. The heel pin angle was measured for a number of test weights, lift radii, and slewing angles. The crane barge, named BIG BEN, behaved according to the predictions, with recorded heel pin angles less than .5 deg and barge list of less than 2 deg. 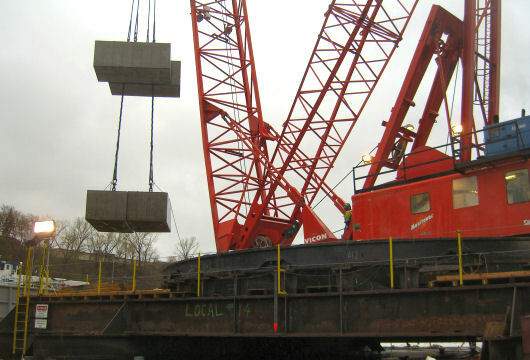 Between May 24 and July 9, 2008, over 200 concrete bridge sections, ranging from 50 to 230 ST in weight, were successfully lifted and installed to gap the 500 ft span. 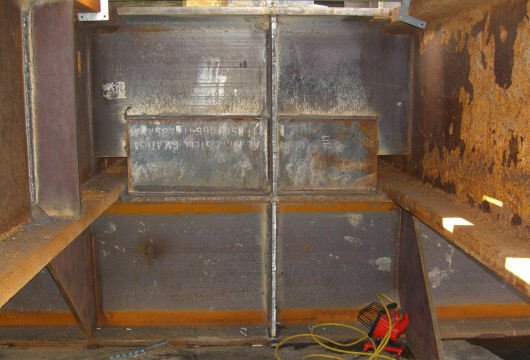 The cast box beam segments were delivered in sets of two to the crane barge in 200 ft long hopper barges, which were outfitted with two customizable support grillages each. Aerial photograph courtesy of Manson Construction Company. 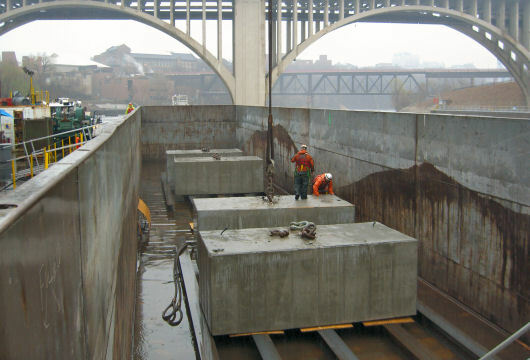 Calculate the change in trim during offloading of the concrete bridge sections.